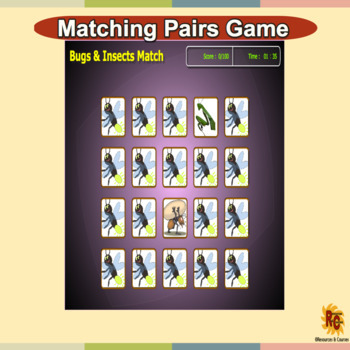 An interactive matching game, match the images, time limit 100 seconds. (Adobe Reader 9 or above). One attempt allowed but can be played over and over to achieve the best score. The highest possible score is 100. Aids memory retention. 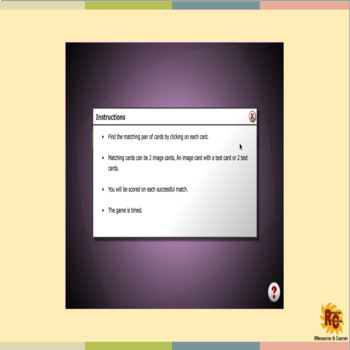 Can be added to individual classroom computers or run through an interactive board. Images: sourced under Creative Commons CC0.